Brand: Wilton 704-107 Units: 3.5 oz. tube Make your cake decorations more dynamic! 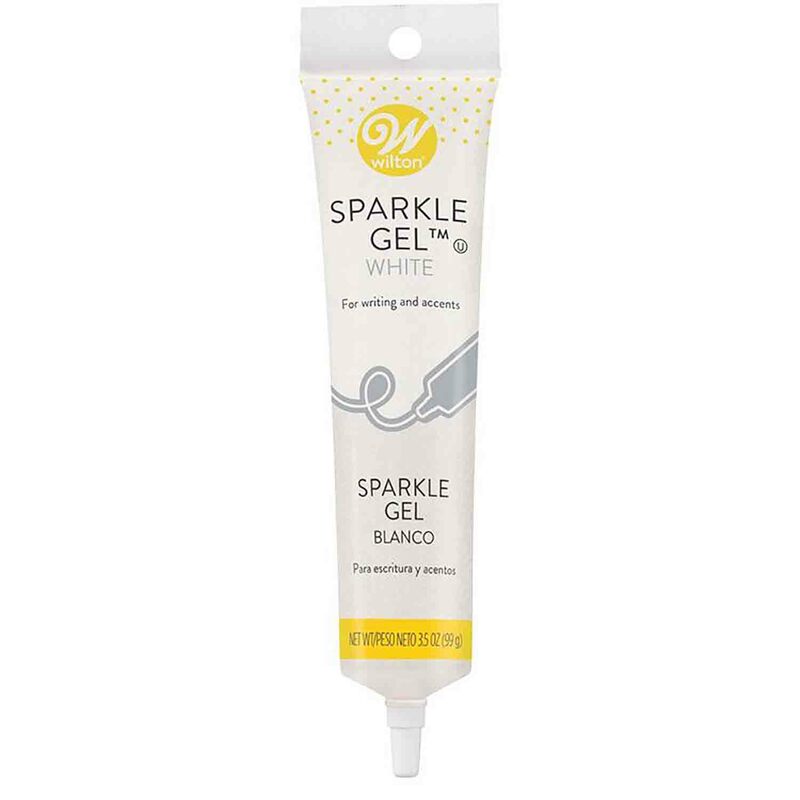 Squeeze on sparkling color effects with this ready-to-use gel. Great for dots, messages, water effects and fondant accents. Try it on cookies, cupcakes, ice cream and more! Resealable 3.5 oz. tubes. Ingredients: Corn Syrup, Sugar, Water, Modified Food Starch, Artificial Color, Citric Acid, Carrageenan, Salt, Sodium Benzoate (Preservative), Titanium Dioxide (Color).